The April 29, 1865 edition of Harper's Weekly is a first edition description of the Assassination and Death of President Abraham Lincoln. We present below, for your research and perusal, the entire newspaper. Click on the thumbnails to be taken to the full, readable, rendition of that page. NEW YORK, SATURDAY, APRIL 29, 1865. SINGLE COPIES TEN CENTS. [$4,00 PER YEAR IN ADVANCE. THE Fourteenth of April is a dark day in our country's calendar. On that day four years ago the national flag was for the first time lowered at the bidding of traitors. Upon that day, after a desperate conflict with treason for four long, weary years—a conflict in which the nation had so far triumphed that she breathed again in the joyous prospect of coming peace —her chosen leader was stricken down by the foul hand of the cowardly assassin. Exultation that had known no bounds was exchanged for boundless grief. The record upon which had been inscribed all sorts of violence possible to the most malignant treason that ever sought to poison a nation's heart had been almost written full. But not quite full. Murder had run out its category of possible degrees against helpless loyalists in the South, against women and children whose houses had been burned down over their heads, and against our unfortunate prisoners, who had been tortured and literally starved to death. But there still remained one victim for its last rude stroke—one victim for whom, it was whispered in rebel journals South and North, there was still reserved the dagger of a BRUTUS. Beaten on every field of recognized warfare, treason outdid its very self, and killed our President. The man who lent himself to traitors for this vile purpose was JOHN WILKES BOOTH, who sold himself, it may be, partly for the pieces of silver, but chiefly for the infamous notoriety attaching to such an act. There was an ancient villain who deliberately purposed to perpetuate the memory of his name among men by an act of awful sacrilege—a sacrilege so striking as never to be forgotten—and he burned the temple of the Ephesian Diana. EROSTRATUS gained his end, and has been remembered accordingly. A memory far more detestable is in store for JOHN WILKES BOOTH, who dared, by the commission of an infinitely greater sacrilege, to bring a whole people to tears. there are doubtless many others involved to a greater or less degree in his crime. 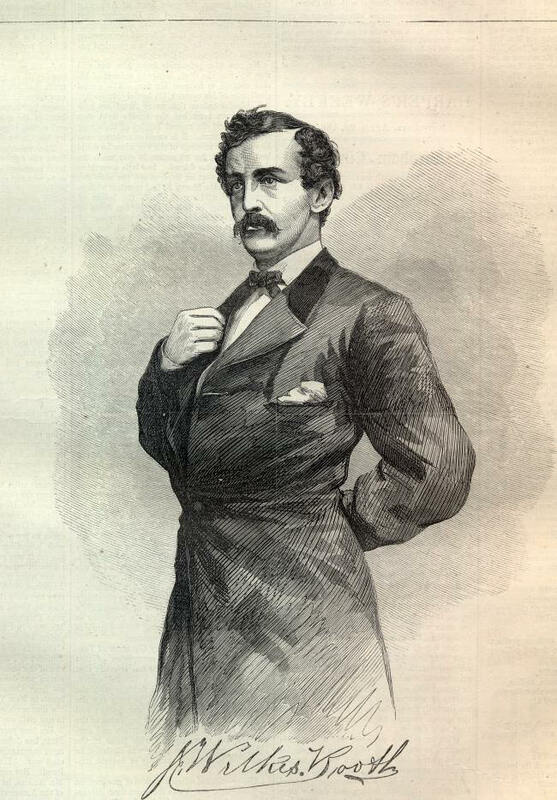 The attempt to assassinate Secretary SEWARD was made probably by an accomplice. It is supposed that Secretary STANTON and ANDREW JOHNSON were to have been added to the list of victims. The latter, at least, received on Friday a card from BOOTH, but was not at home. the general expectation that General GRANT would form one of the President's party, and there are many who suppose that a blow was intended for him as well as the President. The latter had passed the day in the usual manner. In the morning his son, Capt. ROBERT LINCOLN, breakfasted with him.—The Captain had just returned from the capitulation of ROBERT E. LEE, and the President listened with great interest to his narration of the detailed circumstances. After breakfast he conversed for an hour with Speaker COLFAX about his future policy as to the rebellion which he was about to submit to his Cabinet. At 11 o'clock the Cabinet met. Both the President and General GRANT were present. Having spent the afternoon with Governor OGLESBY, Senator YATES, and other leading citizens of his State, he went to the theatre in the evening with Mrs. LINCOLN, in order to unite in the general expression of popular joy for our late victories. The party consisted of Mrs. Senator HARRIS and daughter, and Major HENRY RATHBONE, Of Albany. They arrived at ten minutes before nine o'clock, and occupied a private box over-looking the stage. The play for the evening was The American Cousin.